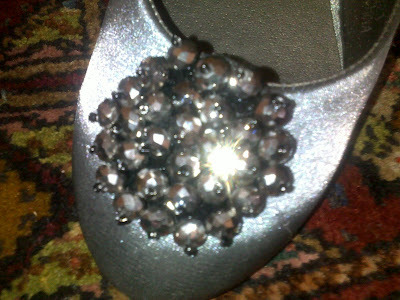 So I was out shopping with the girls yesterday and I bought these grey satin-ish shoes with a beaded detail on the front. 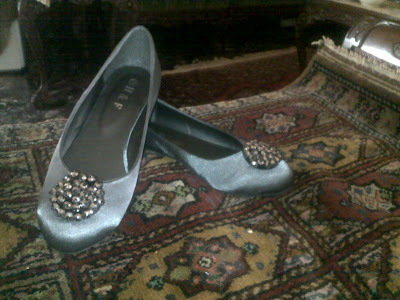 I've been wanting grey flats for a while now, well actually every since I realized that I have a lot of grey pieces in my closet. I saw these shoes I think like 2 weeks ago when I was out with my mom, but the ones I'd seen were bright pink with black/purple beads instead of silver/black. So yesterday, I tried on both and then with the vote of my friends I got the grey one. 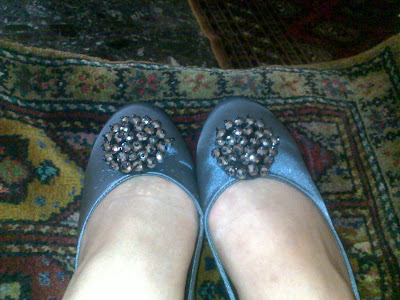 Which I think was a wise choice, considering I have 3 pink flats.